Backed by a rich vendor base and an experienced team of qualified professionals, we are able to offer superior quality Nylon Ropes. These ropes are procured from the reliable vendors of the industry, who have immense credibility and vast years of experience in this domain. They use optimum quality nylon for weaving the ropes. Made of high quality HDPE. use ful for all applications like packing, household, cloth drying etc. Durable & long lasting. We have established ourselves as coveted organization which is involved in offering Black Nylon Braided Rope. 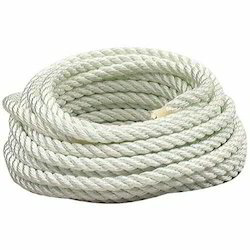 We are highly acknowledged organization engaged in presenting remarkable range of Nylon Rope. 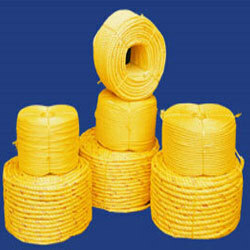 Our company holds vast experience in this domain and is involved in offering Twisted Nylon Rope.